One aspect of Christmas and New Year that will be familiar to a lot of people and one thing many people will not be looking forward will be those Credit Cards bills due to drop onto your door mat in the coming weeks. As such you may be thinking of cutting back your online Bingo playing budget to help you balance your books! If that is the case then we think you are going to be very interested in the current Bingo promotion up and running right now over at Paddy Power Bingo! That is their special Value Nights Bingo promotion, which is running weekdays from Monday through Friday for the entire month of January 2017! You will need to sign up to the Paddy Power Bingo site f you are not already a member if you do want to take part in a huge range of low cost bingo games and bingo sessions, or if you are already a fully registered player then simply log into your account and you will be able to take part in them straight away. The Value Nights promotion running from 6pm each weekday night and you will need to log into the Gold Bingo Room to take part in those bingo games and by doing so you will discover most of them offer half price tickets so you can win big or half the usual ticket prices! 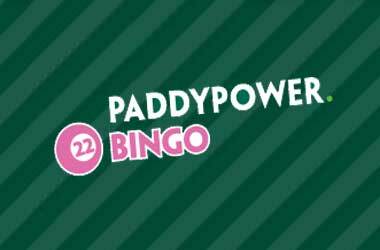 The games are running each weekday up until midnight, so the earlier you can log into your Paddy Power Bingo account the more of those half prices and high paying Bingo game you will be able to take part in. To ensure every single one of their Bingo players is going to be able to take part in this promotion you can take part in the Value Night promotion using your computer or laptop, your tablet device or even log into their state of the art Bingo App and you will have full and unrestricted access to the Gold Room! There really is a lot to like about Paddy Power Bingo for they have everything in place to ensure every single one of their players has a fully rounded bingo playing experience, and you will find they offer not only a huge range of banking options to make a deposit such as Neteller, Credit and Debit Cards and Pre-Paid Vouchers such as PaySafeCard but they also have plenty of ways that you can withdraw your winnings too. With their state of the art bingo software at your disposal you will find that you can pre-buy Bingo tickets and cards for any up and coming Bingo games and their software and their mobile app will check off each of your cards and tickets for you too!